Hooray! You’ve finally decided to turn your house into your dream home. Whether it’s an extension, loft conversion, new kitchen or bathroom or even just getting that leaky roof fixed, it’s critical to ensure that you are employing exactly the right person for the job. Here at Wisecraft Ltd we will always ensure that all of our building work is completed to the very best standard and in a timely manner – the good people of Bolton wouldn’t choose a builder who doesn’t! However there are few common mistakes that many people make when deciding which the right builder for them is. Take heed – and then just contact Wisecraft Ltd Bolton! Any builder worth their salt will be more than happy to provide you with testimonials from previous clients and will also encourage you to view their work. Word of mouth and personal referrals are a great way to put you in contact with potential builders, but always ensure that you get a reference that you can trust – after all what is acceptable to cousin Jim’s neighbour’s dog walker, might not be good enough for you! A common mistake here is confusing a quote with an estimate. An estimate is just that, a rough guess at how much your job should cost and how long it should take, whereas a proper written quote will break down the cost of the labour and materials and give you a final price that cannot be altered later without your permission. You should also obtain written quotes from at least 3 builders. For many people after obtaining their 3 quotes, it is simply a matter of choosing the cheapest. However beware of falling into this trap. Cheap does not always signify value for money – low prices can often be the result of using poor quality materials and unskilled or unqualified contractors. Read your quotes carefully and make a decision based on references, past work and the clarity of the quote – don’t get confused by jargon, if you don’t fully understand something ask for clarification. All builders should have cover to protect themselves against property damage and public liability insurance to protect everyone in the case of accident or injury. 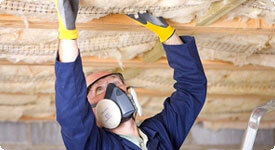 Most reputable builders will also be able to offer work with an Insurance Backed Guarantee (IBG). Here at Wisecraft Ltd we offer IBG’s provided by HomePro, the UK’s leading IBG provider. This will ensure that your financial investment will be protected. For free, no obligations quotes and advice, contact Wisecraft Ltd today. We are an award winning Bolton builders company who are committed to providing the very best building work possible and pride ourselves on being a reputable company with a proven standard of workmanship.